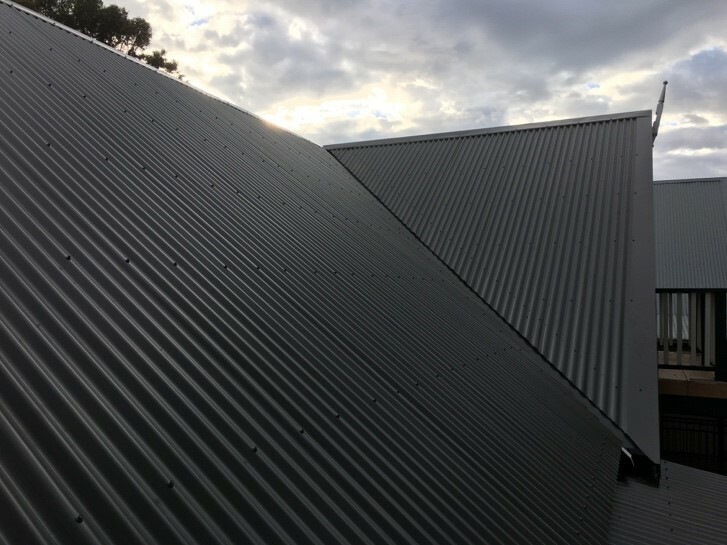 AusStyle Roofing specialises in new metal roofs and metal roof replacements within the NSW Central Coast, Sydney, Sydney’s North Shore and Newcastle areas. AusStyle Roofing can replace any roof with a new Colorbond or Zincalume roof. Most of our clients require domestic re-roofs or industrial and commercial roof replacements. AusStyle Roofing recommend the Colorbond range of roofing products, built for Australian conditions, built to last. AusStyle Roofing specialise in roof replacements, with over 16 years of experience. Access to properties can often be difficult, the roofs can be steep and properties can be many stories but AusStyle Roofing have all the necessary qualifications to complete the job regardless of difficulty and that includes homes with extensions, which can often be a little unusual in the roofing department! In short very few roof replacement jobs are the same. AusStyle has carried out roof reports for customers whose new roofs look worse than the one that was replaced due to selecting the wrong contractor. Don’t make the mistake of accepting the quote purely on price! Make sure the roofing contractor is licensed and experienced and that they provide you with the information on the products to be used. (Asking for local references is one good way to check). Check the type of material and its warranty has been included in the quote. There are more and more imported materials these days and whilst most of it probably meets Australian Standards by buying Australian Made Colorbond or Zincalume for your new roof you are guaranteed of the highest quality product. Australian Zincalume comes with a manufacturer’s warranty of 20 years and Colorbond’s warranty is 25 years. These are tried, tested and proven materials for Australian conditions as well as looking great! Servicing Sydney and Central Coast Areas. Call AusStyle Roofing for an obligation free quote on 0412 481 993 or fill out our quote request form. An AusStyle estimator will then organise a time that suits you for an on-site meeting to inspect and access the roof and liaise. We will work with you to identify exactly what look and function you are hoping to achieve, helping you choose colours, features and components such as gutter styles, down pipe styles and sizes, ventilation, skylights and type of insulation, just to list a few. After the on site meeting you will receive a written quotation within 48hrs. On acceptance of the quote you will be required to sign the bottom of the quote and post, fax or email that back to the office. Once received you will be contacted within 24hrs to schedule a suitable time for the roofing works to be carried out. Our usual lead time is 1-2 weeks. Sometimes we can be held up due to extreme weather conditions but AusStyle will always keep you notified of any changes to the schedule well in advance. The work itself will take 1-7 days depending on various factors such as pitch, access, size, height, etc. AusStyle Roofing will let you know exactly how long it will take before we start. This means we are on time, we complete the work when scheduled and there are no hidden costs. The only variable in our well organised company is the weather! On completion of the job, an AusStyle Roofing representative will inspect the job with you and if you have any queries or concerns these can be raised and resolved immediately. The site is set-up to provide safe access and working conditions for both tradesmen and clients. Materials are delivered and stored in a suitable place. Bins are delivered to site and the old roofing material is removed and placed in the bins, we endeavour to recycle as much of the old materials as possible, namely the old tiles get crushed and used as road base. The next stage is the exciting stage for customers as new battens are fixed into position followed by the insulation and new sheeting being installed. Any flashings to suit the new roof are then installed along with gutters and down pipes. Any additional components such as skylights or vents are also installed at this stage. Finally, the roof and whole site is completely cleared of any rubbish and left over materials. Don’t let that leaking roof do anymore damage to your home! Call AusStyle Roofing now on 0412 481 993 for an obligation free quote and stop with the buckets and stress in the wet weather!